Quick Charge 4.0 is Qualcomm’s representation of smartphone fast-charging technology, with the company claiming that future devices will be able to charge up to 50 percent of their overall charge in just a time span of 15 minutes (this will also depend on the phone’s actual battery capacity). Now, according to more details, it appears that mobile devices of the future will start to provide support for Quick Charge 4.0, but those products will start to appear possibly during the second half of this year. It would be safe to assume that devices like the Galaxy S8 and Galaxy S8+ would provide support for Quick Charge 4.0 because several million models feature Qualcomm’s latest and greatest SoC, the Snapdragon 835. However, with the company claiming that Quick Charge 4.0 will be featured in devices during the later months of 2017, that myth can finally be debunked. 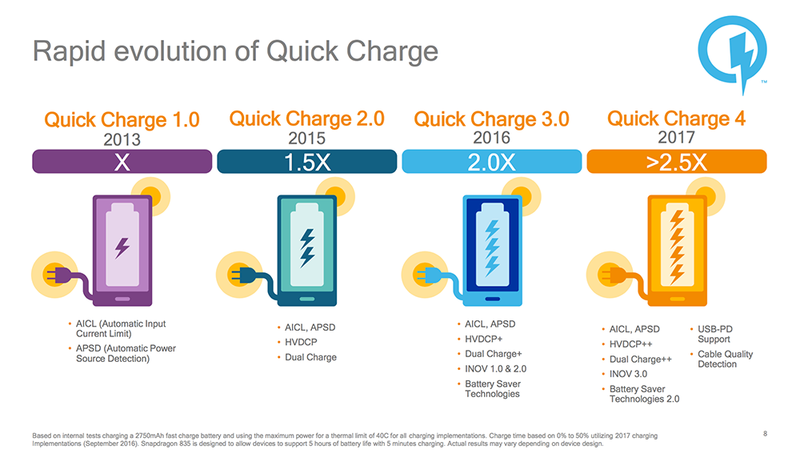 In short, Samsung’s flagship smartphones do not provide support for Quick Charge 4.0, but rather take advantage of its own AFC (Adaptive Fast Charging technology). 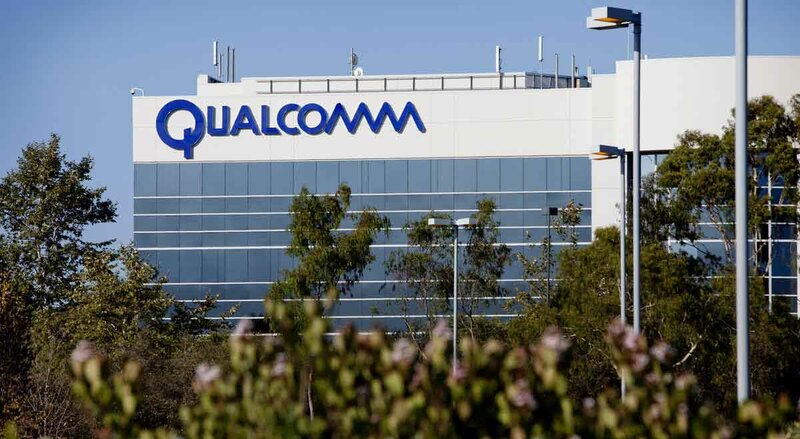 According to PCWorld, manufacturers normally make announcements that its mobile devices will provide support for Quick Charge 4.0, so that could be the reason why Qualcomm has yet to acknowledge which handsets will be able to carry capacity up to 50 percent of the total charge in just 15 minutes. In addition, Qualcomm states that Quick Charge 4.0 can charge 30 percent faster than Quick Charge 3.0 while also being more efficient in order to generate less heat, which is deleterious for the smartphone’s battery and other internals. Quick Charge 4.0 will also work with Type-C USB ports because this standard is able to deliver a higher power delivery to mobile devices. Our guess is that the Galaxy Note 8 is going to be one of the first phones to provide support for this technology. What are your guesses? Tell us your thoughts down in the comments.